Summer Prepsentials: Chino Shorts - emma and co.
Everyone has something in their closet that hosts as a mild obsession. Over the years, mine is definitely become J.Crew chino shorts. They are perfect for me because it fits my legs much better than tight jean shorts, but they add a perfect pop of color to any outfit. Seriously, you just need to throw on a pair with a printed tee shirt and it's a lot more socially acceptable than Although they are a bit pricy, they are completely worth it. I have even been able to find them at thrift shops! Lots of shorts that I have bought have been great, but then fell apart after a season. Even my chinos from three or four years ago show very few signs of wear. 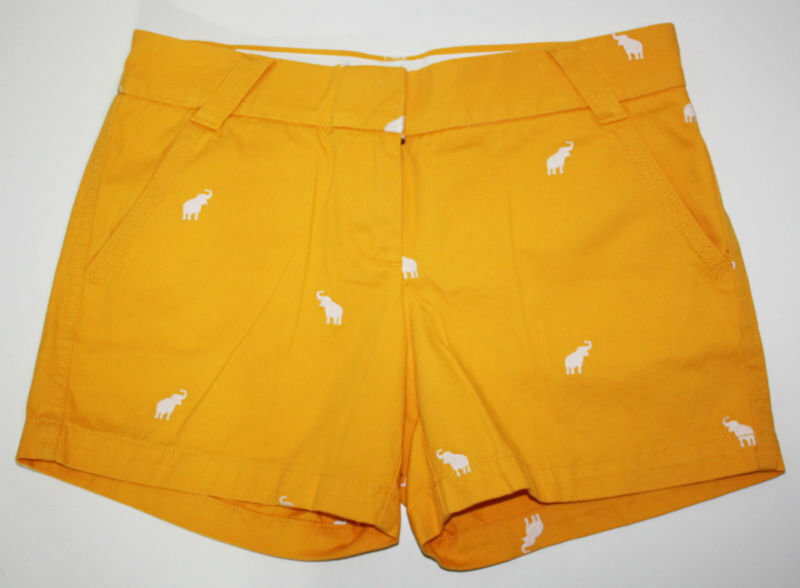 Personally I am a huge fan of the critter shorts (with the nautical themes of course and of course this yellow elephant pair), but my personal favorite are these lilac ones. The three inches are my personal favorite. Check 'em out! Of course being the easiest summer wardrobe piece, I put together some of my favorite outfits with only a shirt, shorts and shoes, perfect for relaxing around the house, class or the beach! Happy Thursday! Have a wonderful rest of the week!